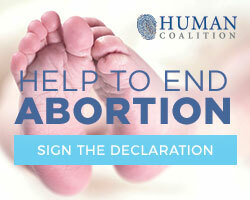 The Born-Alive Abortion Survivors Protection Act (H.R. 4712) passed 241-183. All Republicans voted for final passage, but only six Democrats voted in favor of it. House Majority Leader Kevin McCarthy (R-CA) said the bill was necessary to protect babies who are born alive after botched abortions. H.R. 4712 contains an explicit requirement that a baby born alive during an abortion must be afforded “the same degree” of care that would apply “to any other child born alive at the same gestational age,” including transportation to a hospital. This language does not dictate bona fide medical judgments nor require futile measures, but rather, requires that babies born alive during abortions are treated in the same manner as those who are spontaneously born prematurely. Here in Congress we must protect those who cannot protect themselves, and the House did just that today with the passage of the Born-Alive Survivors Protection Act. Our bill protects babies who survive a botched abortion attempt by imposing criminal penalties on abortionists who intentionally harm, kill, or harvest body parts of these innocent lives. It’s unconscionable that as a country we would allow the the murder or harm of babies born alive, and those who disregard human life in that way should face the most serious consequences. Leading pro-life groups applauded the vote. The bill was introduced on December 21st by Rep. Marsha Blackburn (R-TN) and is currently co-sponsored by 60 of her colleagues in the House. The legislation would strengthen enforcement of existing law, such as the 2002 Born Alive Infants Protection Act. The House passed a version of the bill in 2015 but it did not make progress in the Senate. Blackburn talked with LifeNews about the importance of the bill. “This Act will ensure that doctors treat babies who survive an abortion the same way they would treat babies born under any other circumstances. We have heard horror stories of babies being strangled, suffocated, or neglected to die. We have heard from survivors of a failed abortion, who would have lost their lives if it was not for someone stepping in and saving them. This is unacceptable, and has to change. The Act will require doctors to give or seek immediate medical assistance for the baby, or be fined and/or imprisoned up to five years. If the doctor kills the baby or attempts to kill the baby, they will be charged,” she explained. “Another important part of this Act is that it also protects women by ensuring that no criminal charges can be brought against mothers,” the congresswoman added. The House Select Investigative Panel on Infant Lives, which Blackburn chaired, found in their final report in January 2017 that abortion providers could be using techniques that resulted in infants born alive during abortion.